Extended detail bending has been added to CRYENGINE 5.4.0 quite some time ago but since then there is a lack of information on how to actually utilize this technology as an artist. 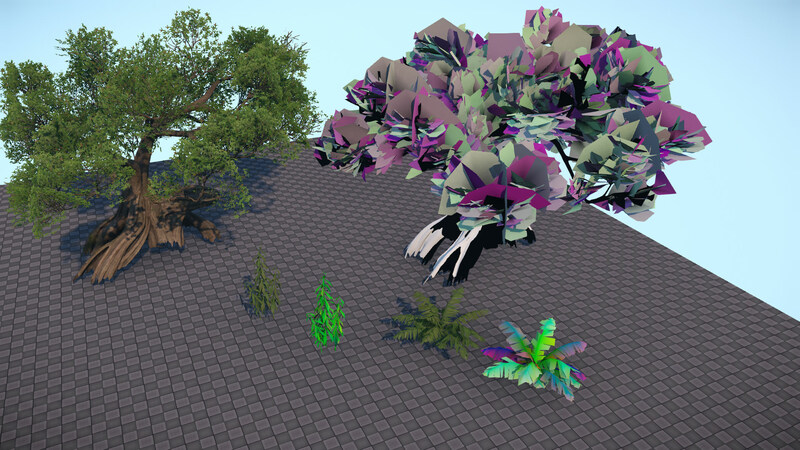 there is no real documentation about it, only a brief explanation on the Vegetation Shader page is to be found. So i wonder about the actual use of vertex color with this technique. What does red, green, blue stand for? Its obviously different from the standard detail bending. Looking at the vegetation assets from Robinson: the journey (from the humble bundle pack) which is setup with extended detail bending in mind makes me suspicious if this techique is utilizing a external script that bakes information like the pivot position and rotational into the vertex color. Would like to get some feedback from staff if possible so we can finally learn more about it. bump. Any word from staff? I'll poke around for you. Thanks for your efforts, lavizh!